← I’m teaching how to make Cathedral Window quilts this Sunday! I took Mel Beach’s EBHQ workshop on free motion quilting a week ago. Here’s one of my 2 samples, above. I was very out of practice. 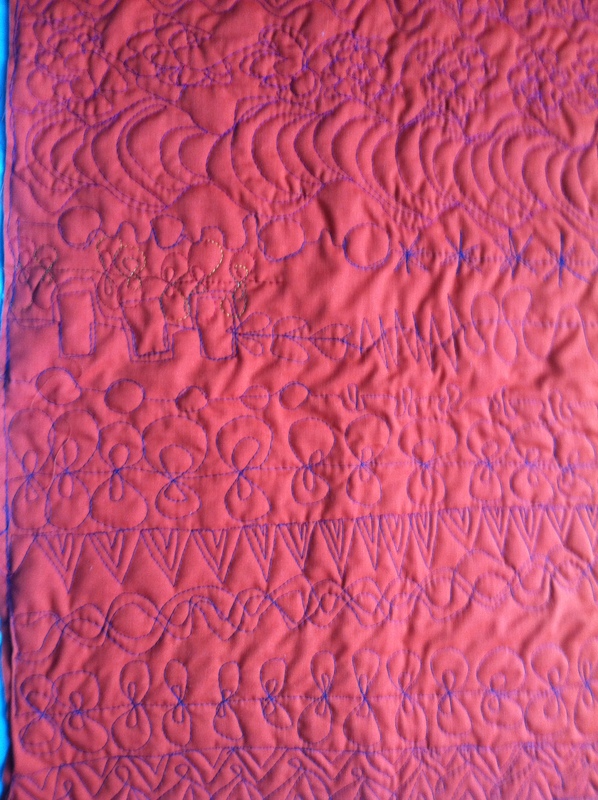 It’s been at least two years since I did any free motion quilting. 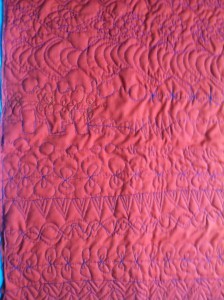 Since the workshop I’ve continued practicing by quilting two donation baby quilts that EBHQ always has on hand. I am improving, but it seems like a slow learning curve!